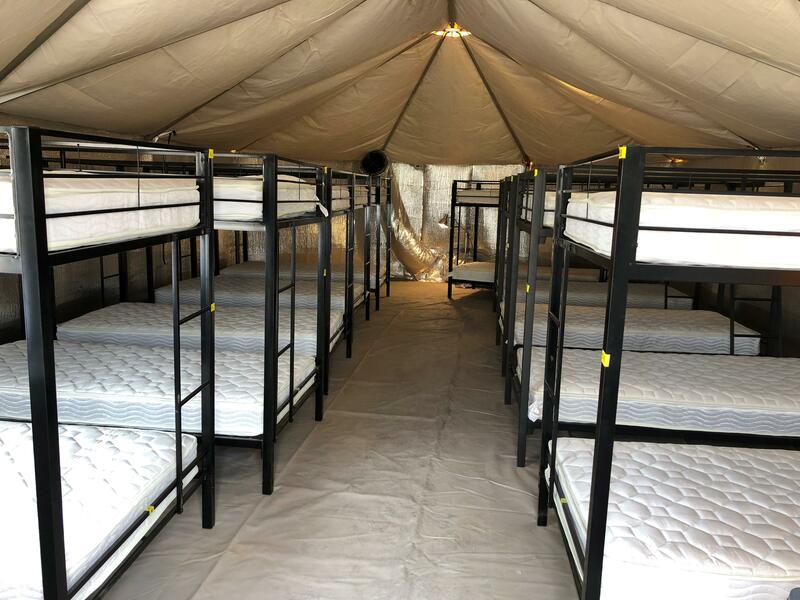 New images from U.S. Health and Human Services show the newly opened detention facilities for immigrant minors in Tornillo, Texas. Thousands of protesters gathered outside the Tornillo site Sunday where teenage boys who illegally entered the U.S. without adults are being housed in tents tightly packed with rows of bunk beds. The protesters called on the Trump administration to stop separating children from their parents at the border. The boys were being moved there to make room at shelters for a growing number of migrant children who were separated from their parents under the Trump administration's "zero tolerance" immigration policy. "We were told there were 98 kids in this tent city yesterday, we were told today there are 200 kids," said Democratic Congressman Beto O'Rourke, who organized the protest. He added, "We've all got to own this, we cannot blame this on Trump, we cannot blame this on a political party -- this is America right now, and so America's gotta show up." "I'm here because I grew up in a border town and now live in a border town, this just pulls at my heart strings," said Jaclyn Allotta, who brought her two children to the protest Sunday. "For me it's not a political issue, it's a mother issue, it's a neighbor issue, it's a what's right issue." CBS News correspondent Mireya Villarreal contributed to this report.